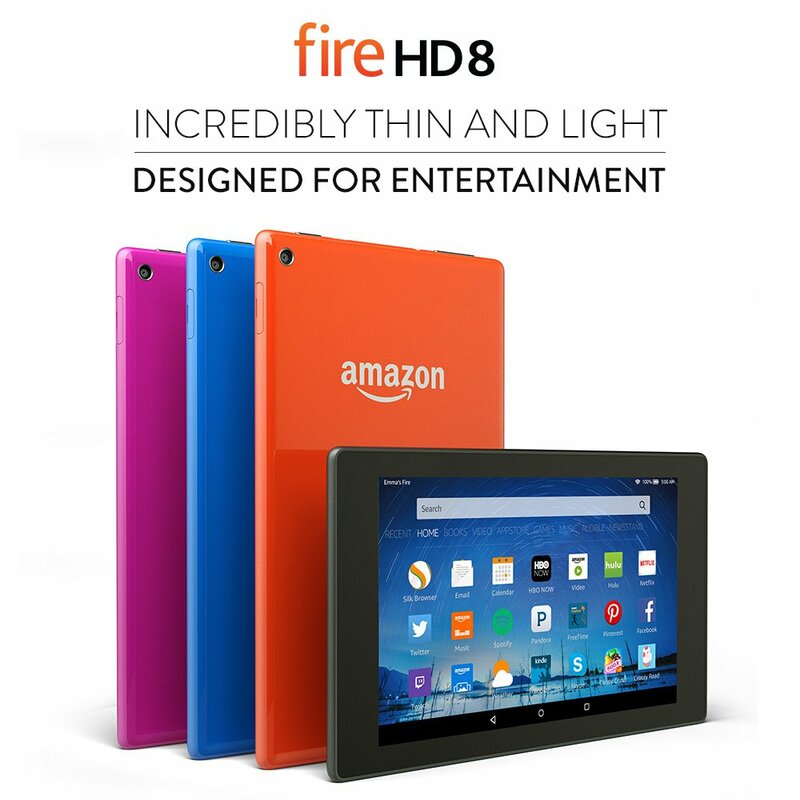 The Fire HD 8 from Amazon has been in my hands for a few weeks now and I’ve used many of the features. Overall, Amazon did a great job providing a basic, entry-level ereader+ for $149 ($165 + tax). If you’re expecting the performance of a Pro Plus Tablet with all sorts of whistles and bells, you’ll be sadly disappointed. This is an Amazon device designed to utilize the Amazon ecosystem-from books to shopping to video. In that regard, this is a well-designed tablet to throw in your briefcase or backpack while on the go, or while relaxing around somewhere. This is not a work horse for business, writing or spreadsheets, rather, a device to consume entertainment in all their forms. The Kindle Fire HD 8 is an amazing ereader, though I didn’t notice any difference whatsoever from the older Kindle Fire 2 I have (which, according to Amazon, will update to the Fire OS 5 Bellini ‘soon’). The Kindle ebook store is available and I have continued downloading and reading my favorite genres, just like the Fire 2. I haven’t noticed the much touted “Word Runner” affecting my reading ability, one way or the other. The device is thin and lightweight, just as advertised. There’s no hand cramps, no arm weighted down, so at just 11 ounces, you won’t notice the weight after a time like in a larger tablet or heavier ereader. The screen is amazing, I must say! Bright, crisp colors and ability to tint the ereader helps eye fatigue. The cameras are decent enough to capture the moment in your surroundings. But I’m certain most of us have a better camera on our smartphones and software to aid in photographs. Since I’m nearly deaf, I have no real opinion on sound but what I can hear is a bit better than the Kindle Fire 2. Like the screen, this sound is bright and crisp. You can add more memory with the built-in card reader but it only accepts current mini SD cards. I tried recycling an old one in my Asus TF101 but the HD 8 rejected it outright. The Kindle Fire HD 8 is amazingly slow. Silk is so slow as to be unusable and no way to sync bookmarks from other devices easily. There’s no way to use chrome’s bookmarks from the chrome app either, due to Amazon blocking google’s ecosystem. If I could give a report card, I’d write “Does Not Play Well With Others”. Another mark against this device is it locks up after about 20 minutes, making you reboot the device with no way to clear the cache or memory. My favorite cache cleaner, All-In-One isn’t available in my list of apps, nor can I download from Google’s Play. As a Book Reviewer, I read anywhere from 1 to 5 books a day, so having to consistently reboot every twenty minutes is annoying. Since the device is so slow, there’s no way to use RAM and Memory-heavy apps like Facebook, Tumblr, Pinterest and so forth. Nothing loads, and the time it does take is too long to be enjoyable. I have watched snippets of movies and they do play but cannot comment on a movie marathon and device speed and reliability. If anyone has, please comment. I have played some memory-heavy games, I prefer Hidden Object Games or HOGs, and they did alright but over time you must reboot, as stated earlier. Also, there’s no quick way to switch between apps, having to swipe repeatedly between screens or shut down one app to get to another. There is the app notification popup under settings, but that is only for current notifications, not what you want to get at.